Made plans with anyone recently or at least tried to? You’ve probably run into the “I don’t know, what do you want to do?” game at least once and it’s frustrating. No one knows what they want, they just want to do something. 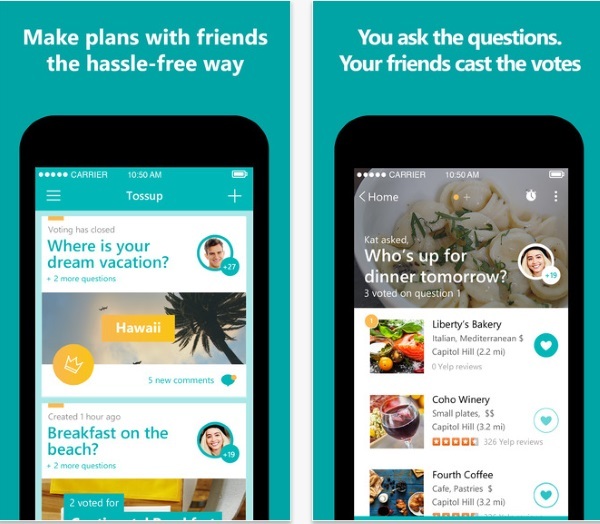 Take the struggle out of meeting up with Tossup, the new app that makes planning simple. When you’re making plans, especially with a group, it’s hard to coordinate what to do. There’s time restrictions, distance, and lifestyles to take into account. For example, that little café next to your house may seem great but for your friend, it’s half an hour away. 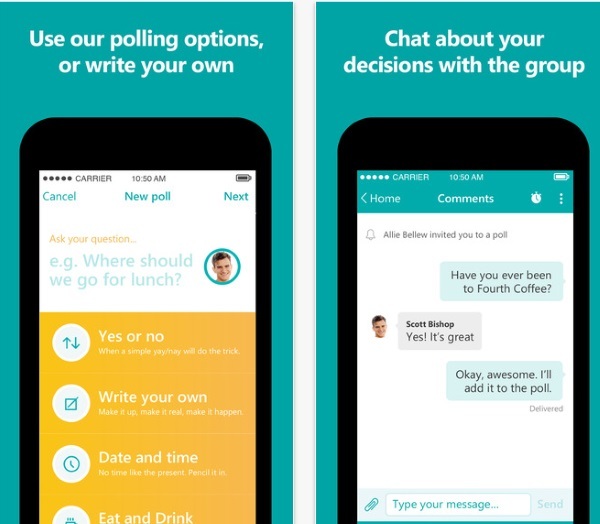 So instead of everyone listing things and messages being lost during long conversations, use Tossup to consolidate the discussion into easy decision making process through polls. Ask the question, let the crowd vote on it. It’s a great app for planning meetups but it’s also a great way to poll your buddies on your life choices. Can’t decide what to wear? Ask your friends. You could do the same thing on Facebook but the polling function makes it more fun. You can check out Tossup for free in the App Store and Google Play.